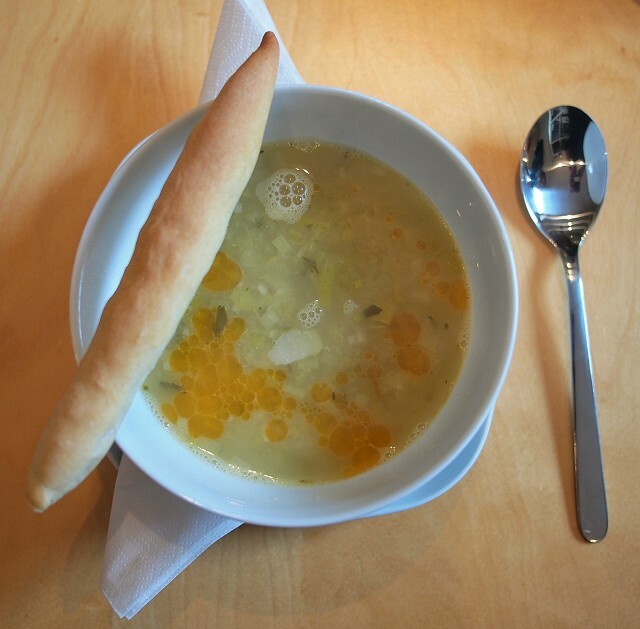 Soup - Cannellini Bean & Leek served with Parmesan flakes and chilli oil. *****Extras - Farmhouse loaf, Magic Tear & Share, Breadsticks, Almond and Raspberry Slice, Shortbread. Saute the leeks, thyme and bay leaf in oil and butter for 15 minutes. Add chopped garlic and cook for a further 2 minutes. Add 2 liters of stock, parsley,oregano and beans. Bring to a simmer and simmer for 20 minutes. Remove bay leaf and season to taste.